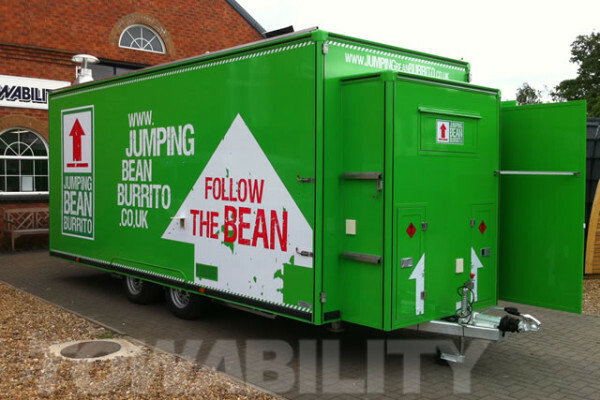 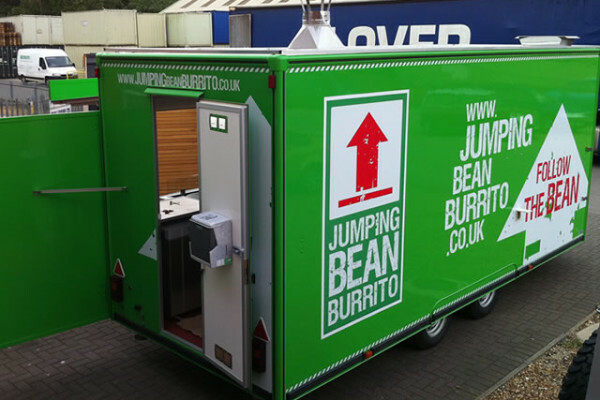 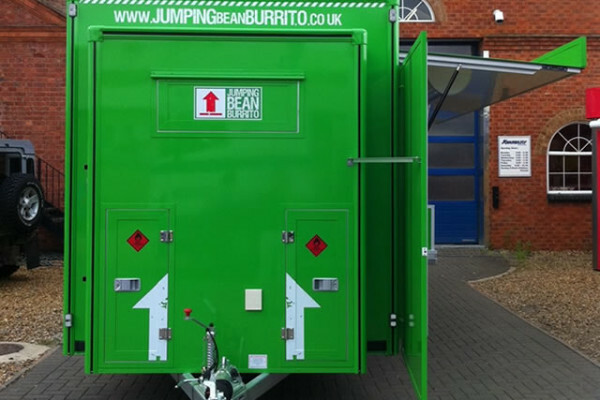 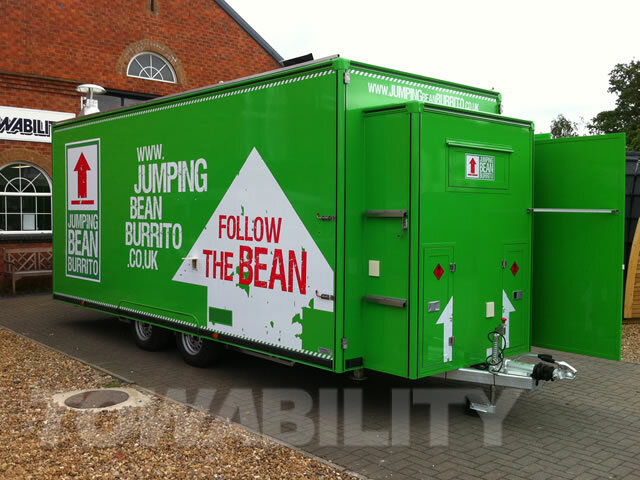 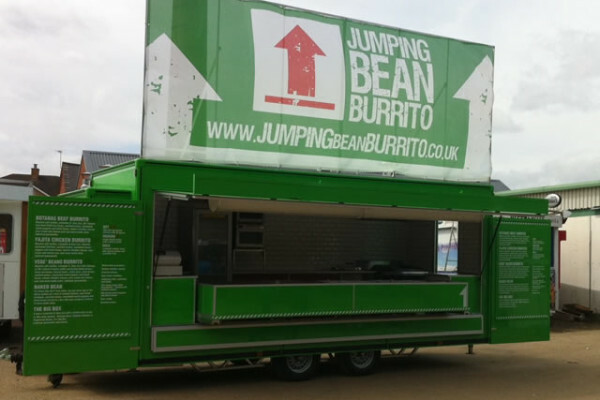 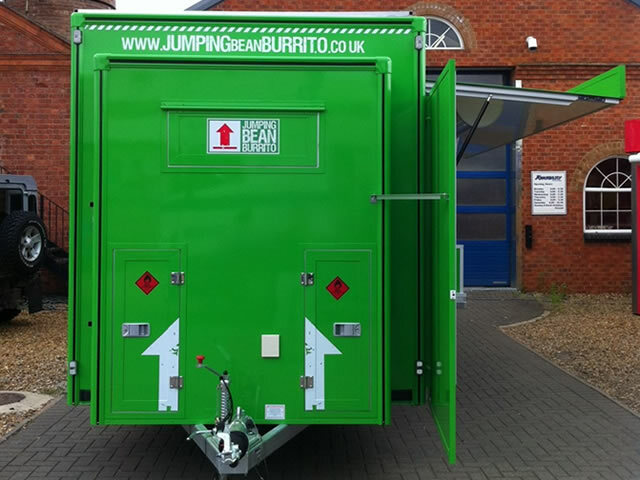 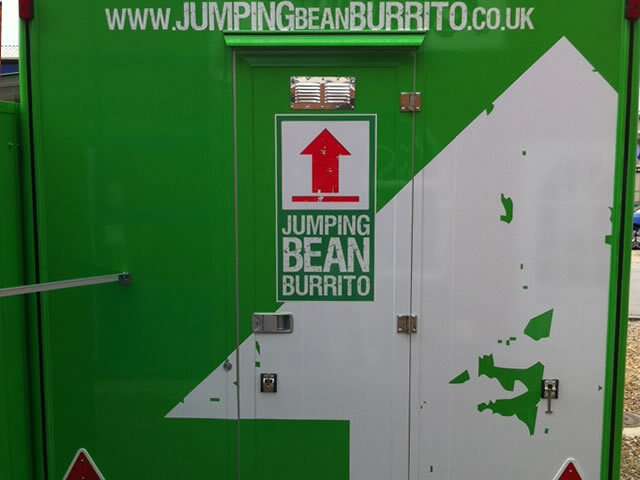 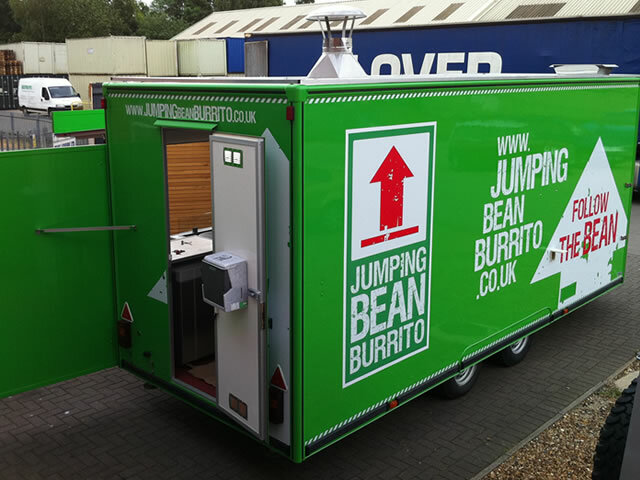 Fittings: The traditional mexican meal consisting of a wheat flour tortilla wrap folded around a filling, can now be acheived from the jumping bean mobile catering unit. 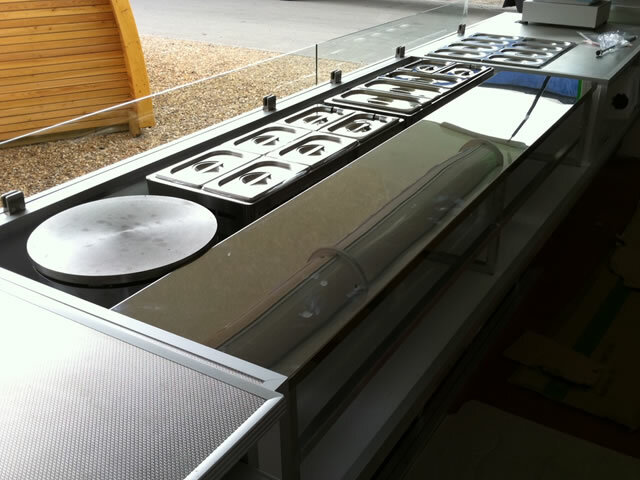 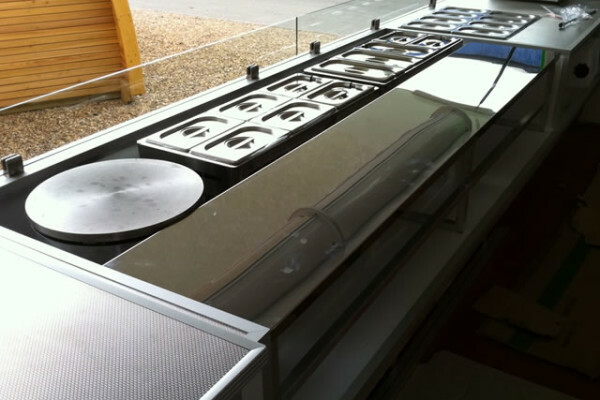 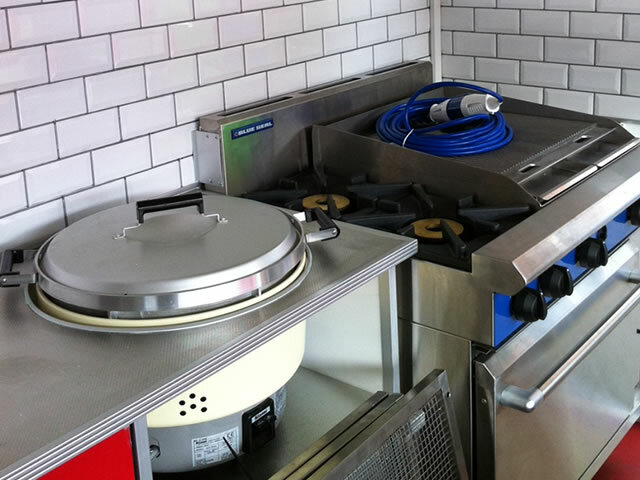 This is based on the Supercontinental with the low level push out counter that enables the whole serving counter to be extended outwards, inviting the customers in and giving the operator lots more internal space. 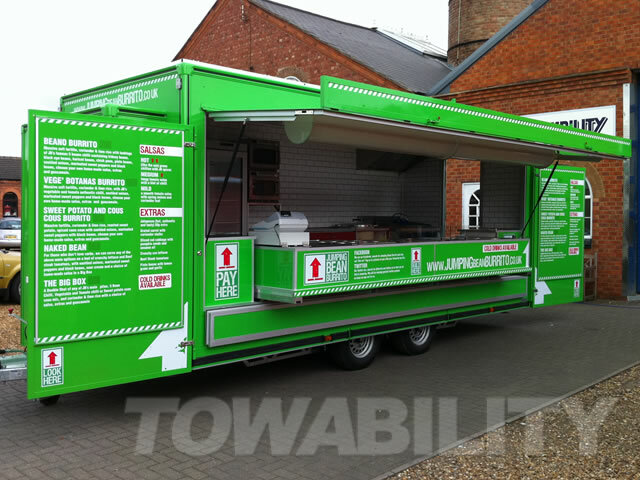 This supercontinental also benefitted from an extended roof signboard adding significant presence. 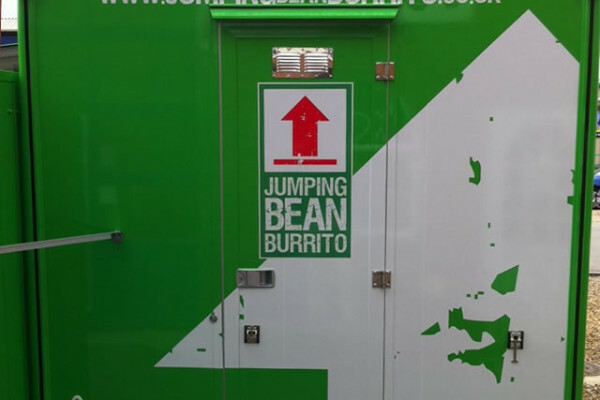 Mobile Mexican food brought to you by Jumping Bean Burrito. 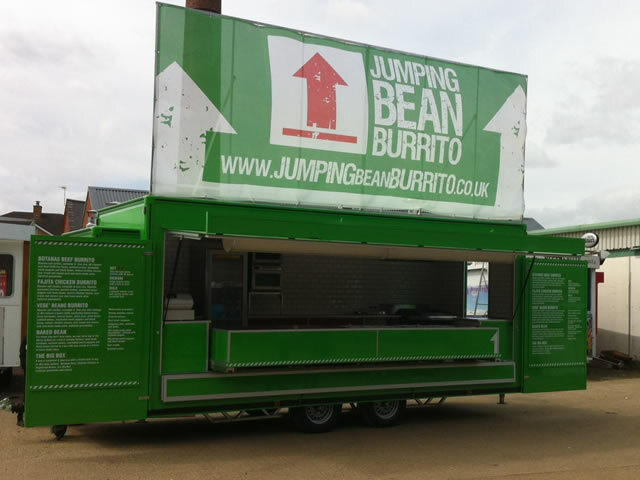 Hitting festivals and events across the UK. 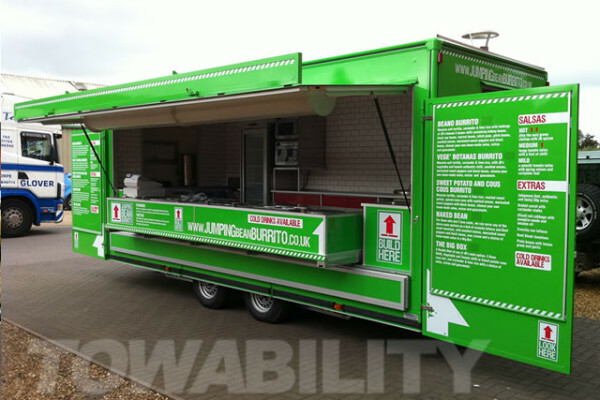 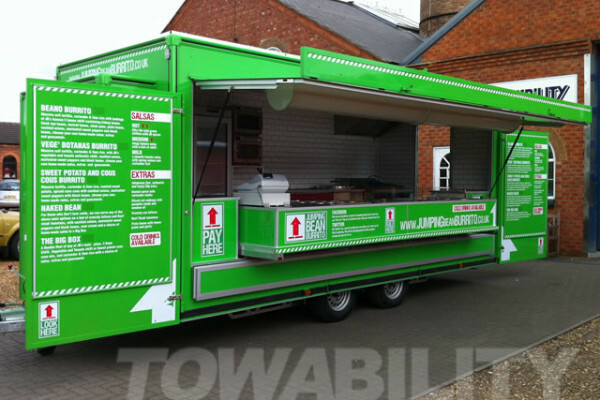 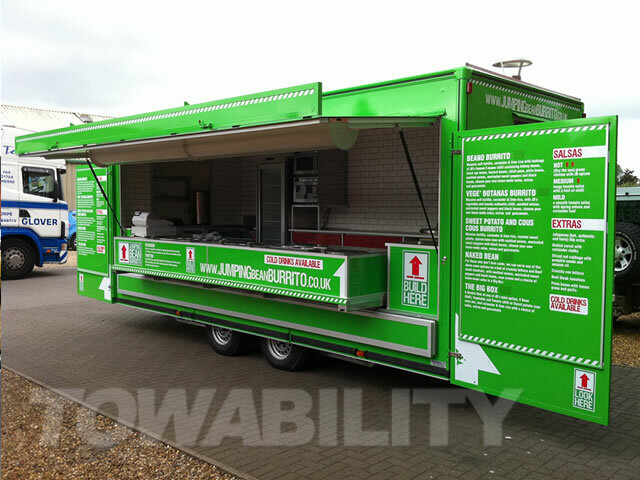 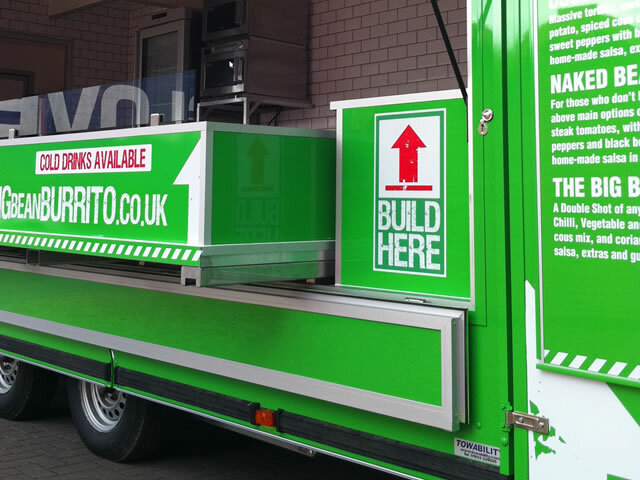 Based on the Towability Supercontinental, this catering trailer is designed for high output to cater for high footfall locations. 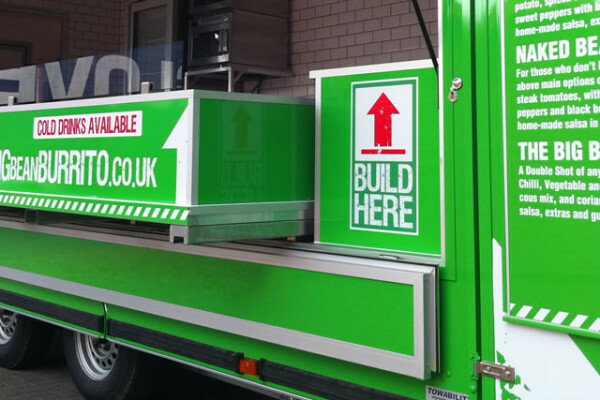 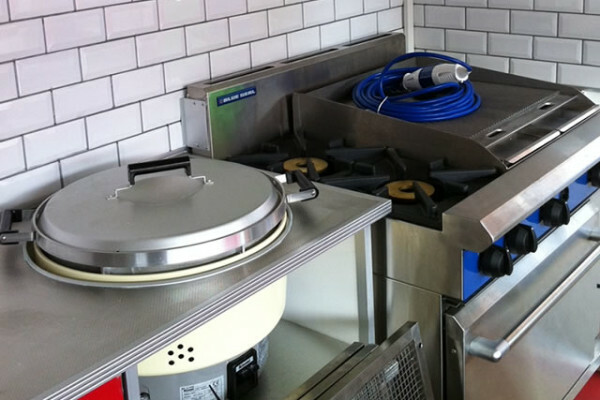 Features a low level push out counter, that gives more prep area inside the trailer.